Attractive shrub with creamy yellow flower heads from south-east Australia. 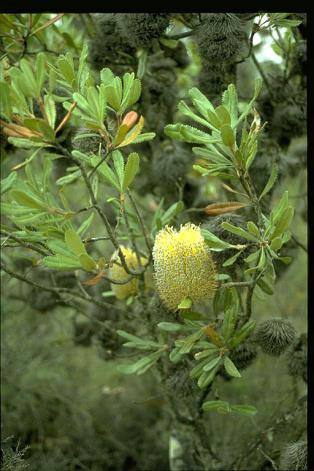 Closely related to Banksia serrata and Banksia aemula but much smaller and bushy. Grows in deep sandy soils so well-drained is a must. The flowers are used for honey production in Australia. Excellent for the drought hardy garden with a more tropical look. Useful for hedge or screen.